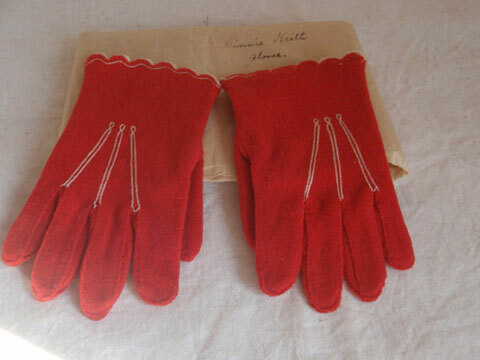 Just in time for Christmas, these gloves are an especially nice find. Measuring 5 inches long by 2 ½ inches wide, they still retain their wonderful brass button wrist enclosure. 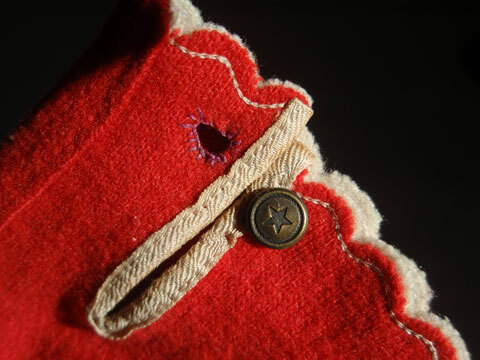 If you look at the photos, you will see that the button has a star embossed it. How appropriate for holiday decorating. Condition is excellent with no holes, rips or tears. 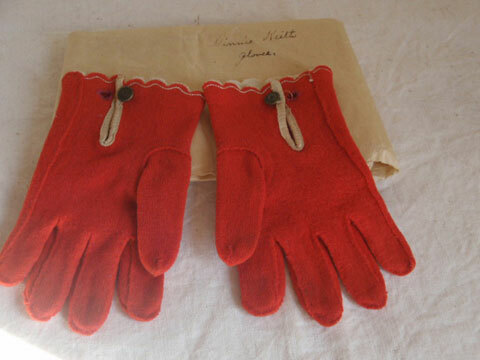 They were purchased out of friend’s collection and were wrapped in brown paper at the time of his purchase. 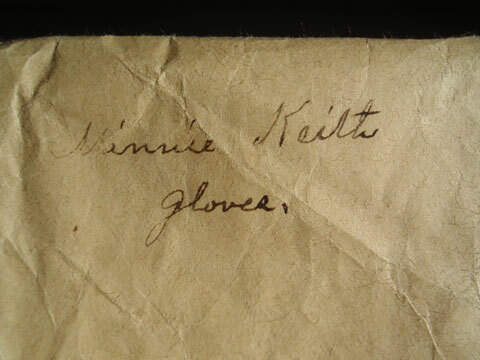 Written on the paper is “ Minnie Keith’s gloves”. They are the best! Would look great sitting on a table next to some greens and a candle!